Seiichi Tanaka, a native of Tokyo, Japan, attended local schools and enrolled at Chiba University of Commerce, though he also studied several traditional art forms. These included different styles of taiko, a form of ritual drumming that combines percussive sounds with physically demanding choreographic movement, in addition to martial arts, yokubue (bamboo flute) and hogaku, the traditional stage music for Kabuki dance and Noh drama. 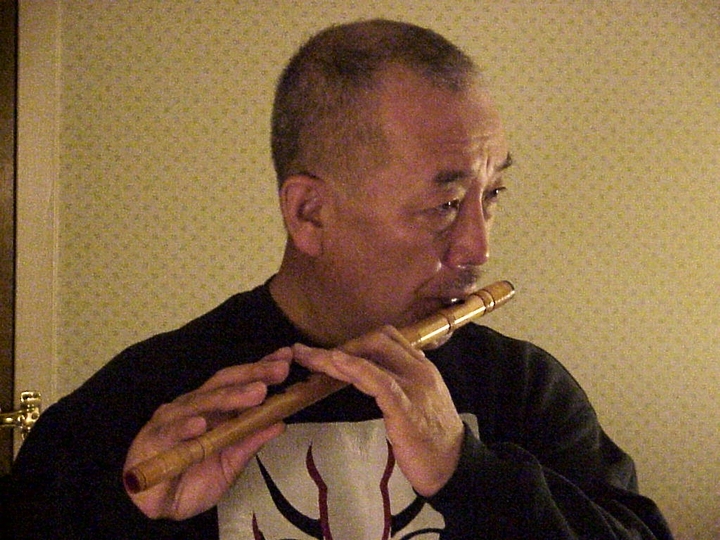 In 1968, the year after moving to the United States, Tanaka attended a Cherry Blossom Festival in San Francisco at which many Japanese cultural traditions were featured, though taiko drumming was not represented. 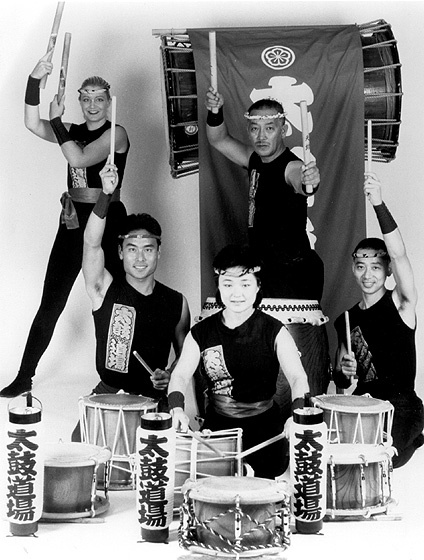 Recognizing a need for taiko drumming in the United States, Tanaka established his own taiko dojo (school). Over the years, he has trained hundreds of taiko performers, using drums of stretched cowhide that are remarkably similar to instruments built 1,400 to 2,000 years ago. In ancient times, taiko drums were probably first used as a military tool but were later incorporated into agricultural rituals to repel evil spirits, encourage bountiful crops and bring rain. 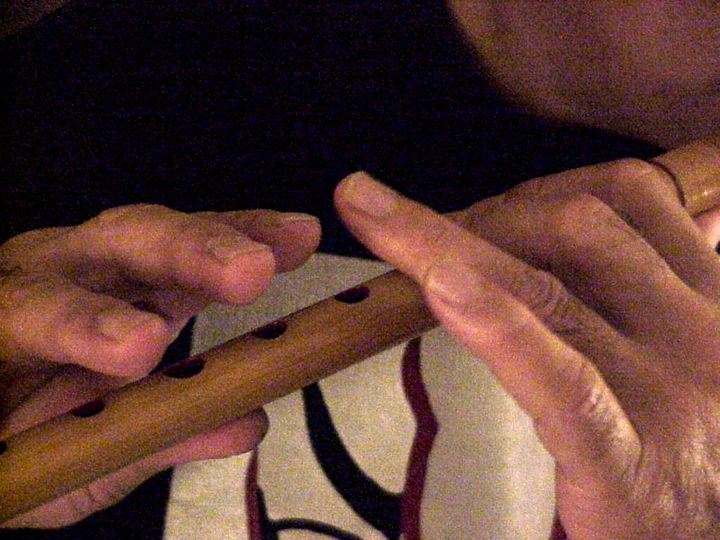 Their rhythms were eventually adopted in the imperial court and were used in Buddhist temples and at Shinto shrines. 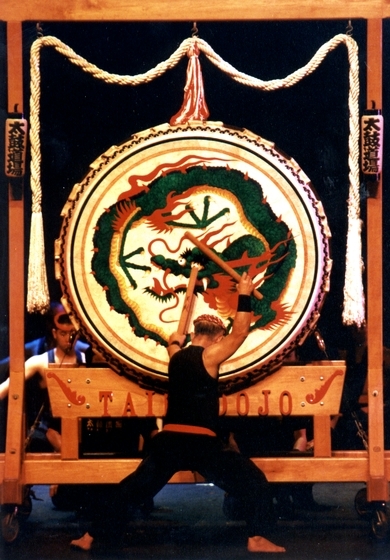 After World War II, taiko drumming evolved into a more complex musical form, employing a variety of drums in different sizes and incorporating choreographed performance. 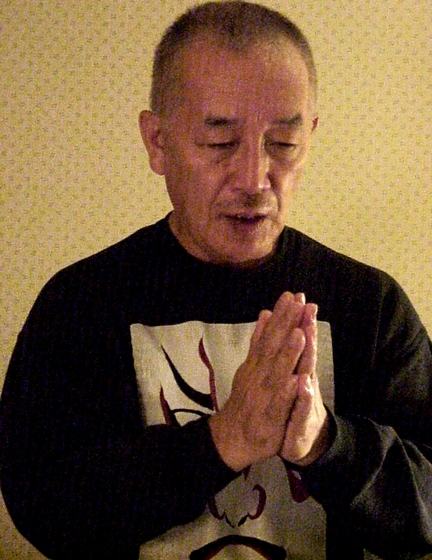 Tanaka is recognized as a grand master and is known as Tanaka-sensei by his followers around the world. 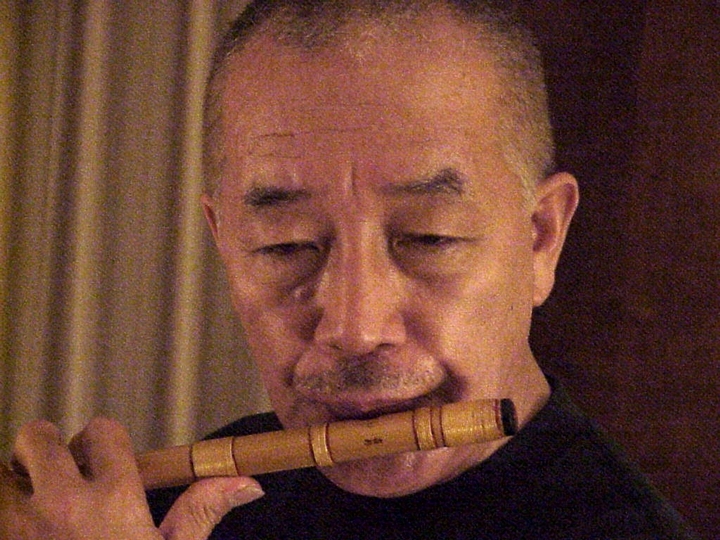 The energetic but disciplined performance style of his group — part dance, part music, part martial arts, part philosophy — reflects what he calls "the development of the inner muscle." In 1982, Tanaka's San Francisco Dojo recorded for the soundtrack of George Lucas's Return of the Jedi. A year later, the group released its first recording, Sound Space Soul, and was asked to record for the movie The Right Stuff. 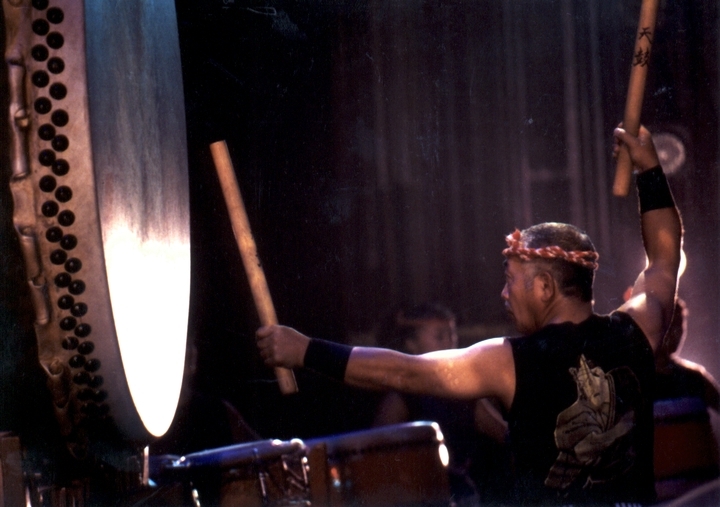 In the 1990s, Tanaka performed in the first Annual Sacred Drum Concert and formed a youth group called the San Francisco Taiko Dojo Little League. 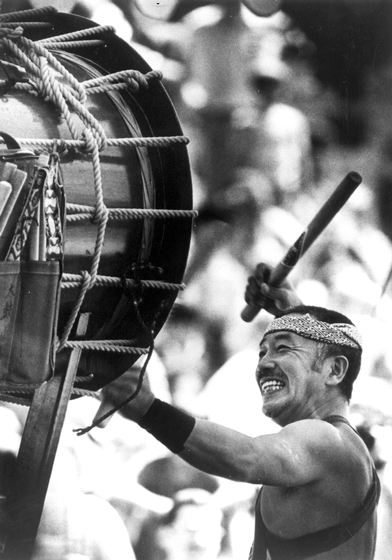 For Tanaka, the "essence of taiko is not only the skillful playing of percussion instruments but the discipline of mind and body in the spirit of complete respect and unity among the drummers." Cummings, Melanie. "Turn the Beat Around." Horizons (winter 1999) 12, 4: 24. Fromartz, Samuel. "Anything But Quiet." Natural History (March 1998) 107, 2: 44.